Varying charges between solicitors on conveyancing quotes? Seeking a conveyancing quotation but discovering that there is a degree of varying charges between solicitors? At Buss Murton we have no such hidden charges. Whilst other organisations’ legal fees may seem low initially, be sure you undertake your research to ensure others are being as transparent with their fees as we are at Buss Murton. Always look for those hidden costs or costs described as third party expenses which may in fact be forming part of the other organisations’ legal fees, therefore increasing their fees and ultimately the overall cost to you to use their services. At Buss Murton we do not charge our clients to complete and file a stamp duty land tax return form, to act for and on behalf of a mortgage lender in the purchase of a property nor when acting on a sale to redeem an existing mortgage. Similarly, we do not charge our clients to perform identity checks or to store your file once the transaction has completed. Ensure you request a detailed cost estimate prior to instructing a solicitor to carry out any work for you in order that you can make an informed decision. Can you really afford not to? Helen joined Buss Murton in 2008. She is a member of the Institute of Legal Executives and qualified with a distinction in Conveyancing Law and Practice, as well as in 3 other heads of her ILEX exams in 2012. Helen became a Partner in 2016. The majority of work Helen undertakes on a day-to-day basis is dealing with freehold and leasehold residential sales and purchases, unregistered land, shared ownership purchases, sales of part of land, equity releases, mortgages and remortgages, joint ownership agreements, assured shorthold tenancy agreements, deeds of variation and lease extensions. 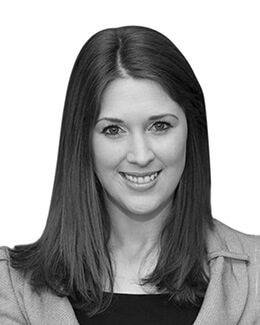 Helen has established proactive relationships with local estate agents to ensure that clients receive a seamless service in dealing with their most valuable asset.